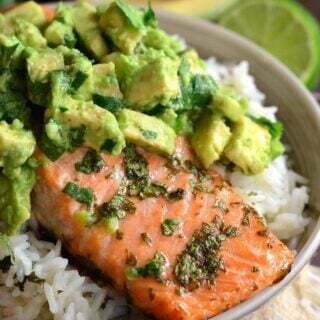 This is a delicious and simple, weeknight dinner for the whole family to enjoy! 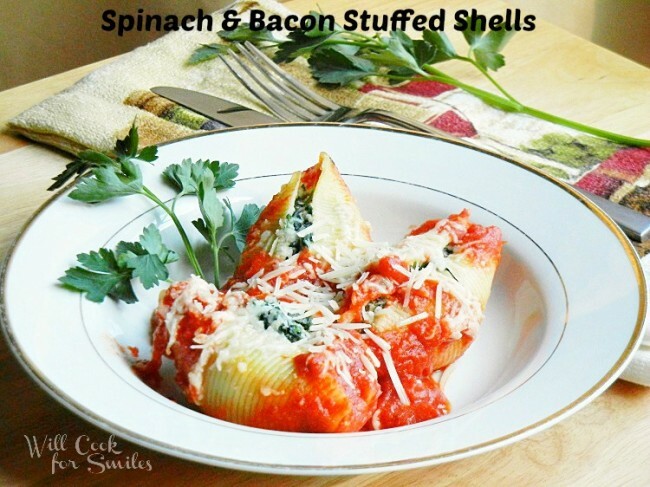 Pasta shells stuffed with spinach, bacon and cheese mix. 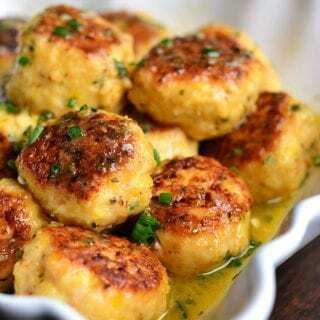 If you’re looking for ideas for a cozy and easy dinner, this is always popular at my house. 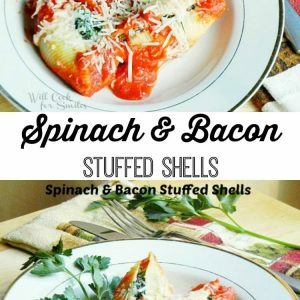 These stuffed shells are comforting and tasty. It makes me happy to serve something with a little green added to it. The little one eats more veggies than my husband, but he is still pretty picky. He loves pasta and ricotta, so he happily devours these shells. In order for me to convince my husband to eat greens, all I have to do is add bacon. 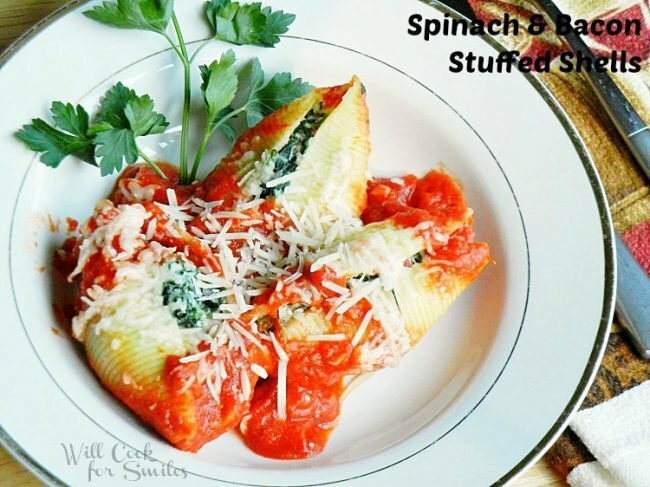 This is actually my sneaky way to add greens to our favorite stuffed shells. 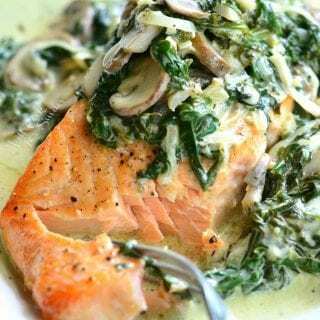 I may have added spinach but I also added some lean and crispy bacon to make him happy. 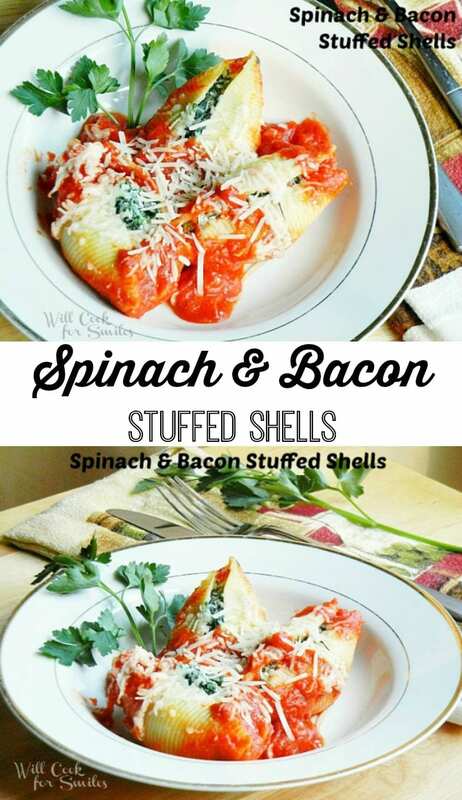 In a medium mixing bowl, combine the ricotta cheese, spinach, bacon pieces, parsley, mozzarella cheese, salt and pepper. Mix until evenly incorporated. 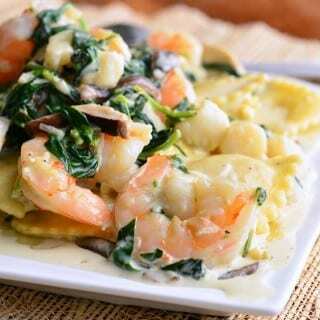 Carefully stuff the shells with the spinach/cheese mixture. 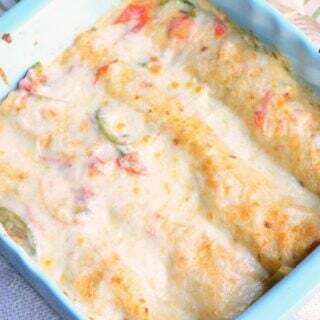 Lay the shells in the casserole dish. It will fit 12. 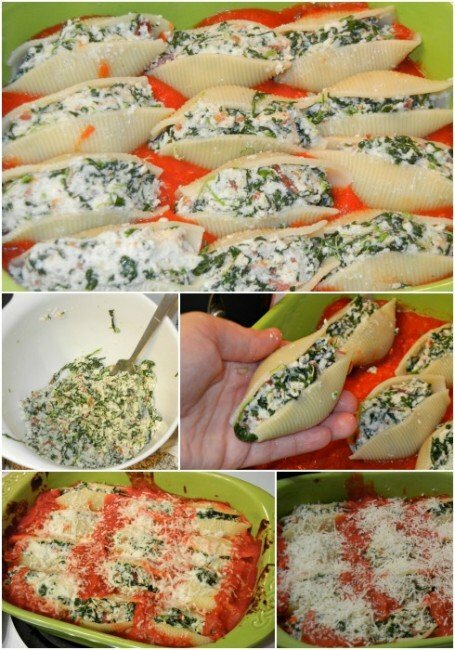 Spread the remaining Marinara sauce over the shells. 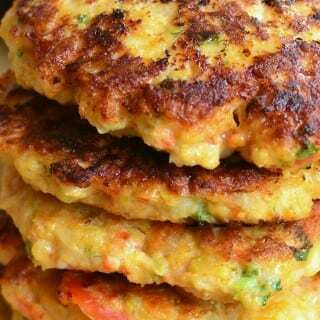 Sprinkle with shredded Parmesan cheese. I love this, Lyuba. This is definitely something we would enjoy at my house. Pinned. Thanks for sharing!